Born in the mid-west and from a small town of 350 people called Kingston Mines, Illinois, I have moved over 28 times and lived in Minnesota, Wisconsin, Illinois, Florida, Tennessee, and New Jersey before residing in South Carolina in 2001. I have a great understanding of what it takes to move a single person or a whole family. Living in Fort Mill, SC married to Meteorologist and Realtor, Reg Taylor, we have two boys who gone through the Fort Mill School district. We are avid supporters of school sports, and yes, I am a football mom and I love every minute of it! We love the area for its charm and warmth of community with convenient access to Charlotte, the mountains or the beaches. Whatever you like to do, it doesn't seem to be more than 2 - 4 hours away! I place client satisfaction and integrity above all else. At Studio 1 Realty, we look forward to meeting you and getting to know your home must haves and wish list. Whether we are helping you sell or search, we appreciate your gift of the opportunity to work with you. See you soon and thank you! 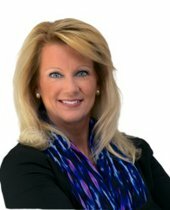 Owner Studio 1 Realty, Inc.
"First of all, my husband and I cannot say enough good things about Debbie and her professionalism. she truly has a passion for meeting the customer's ... more "
"She was one of the best real estate agents we have ever worked with. She stayed on our search and found us the home and location we were hoping for. ... more "